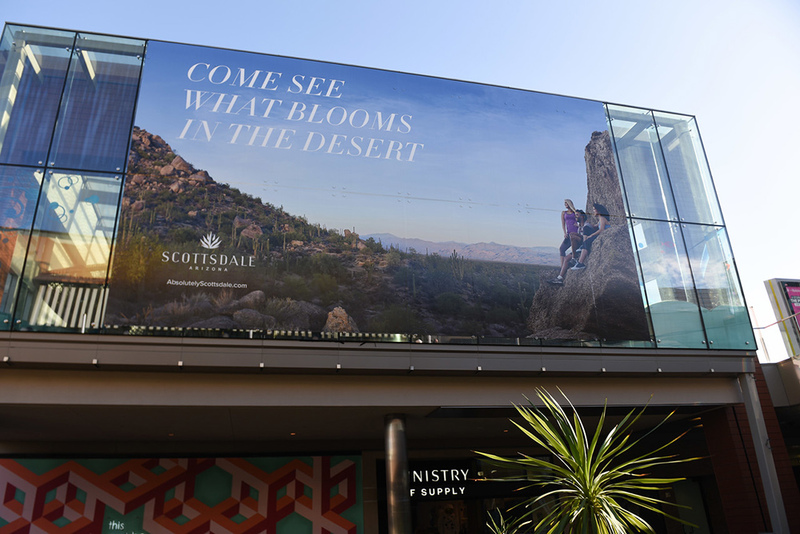 Macerich's media network of high-impact opportunities delivers monumental reach, frequency and exposure to a ready-to-spend audience. 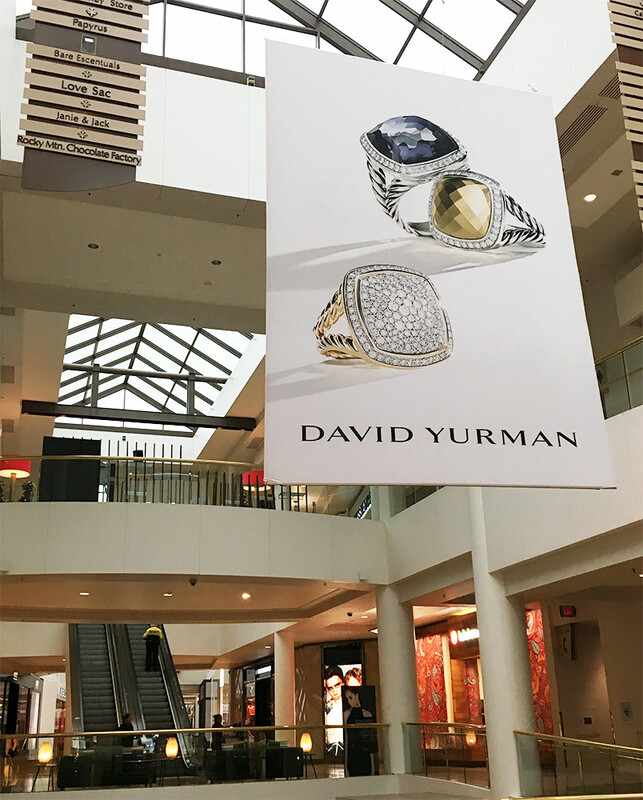 Available in select Macerich shopping centers in top DMAs: NY, LA, Chicago, Phoenix, Denver and Portland. 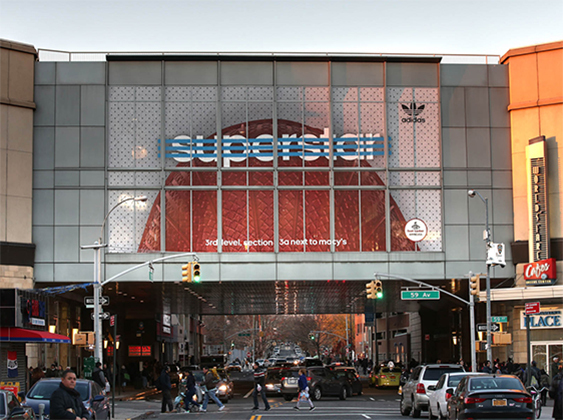 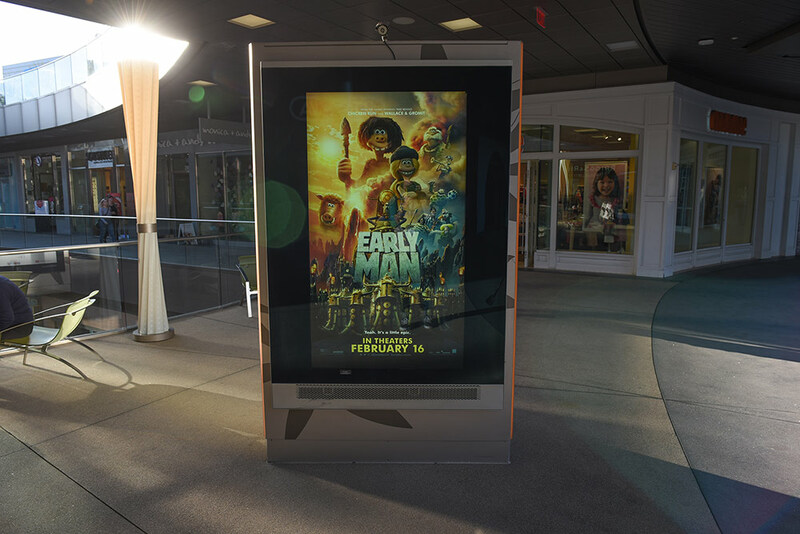 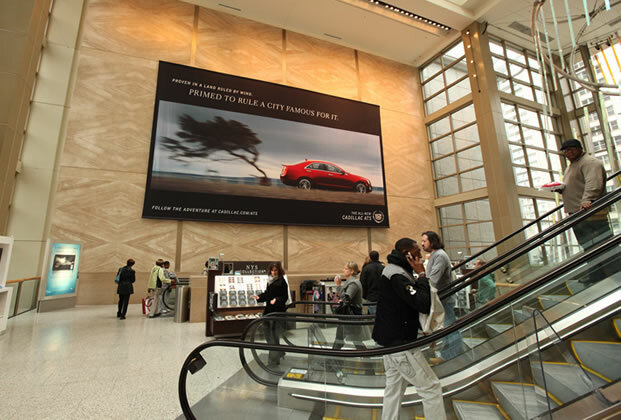 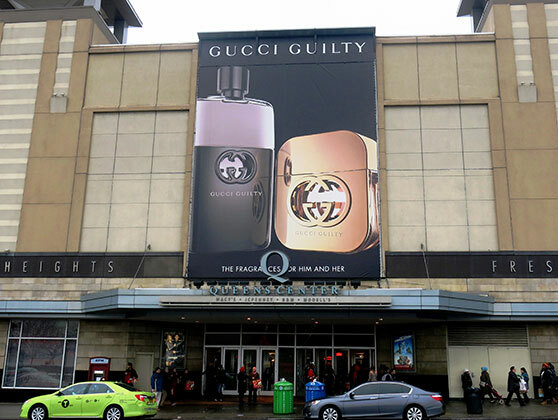 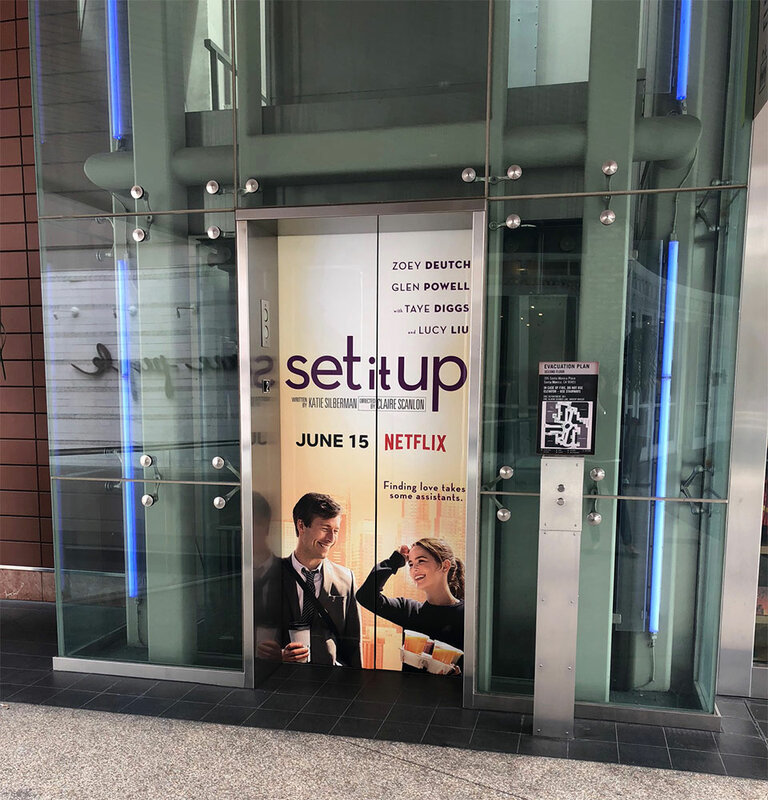 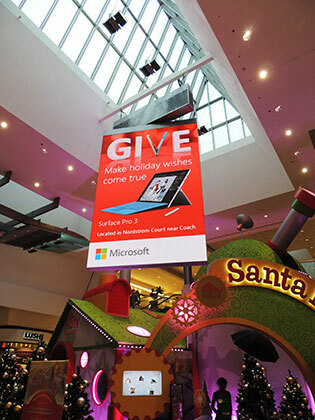 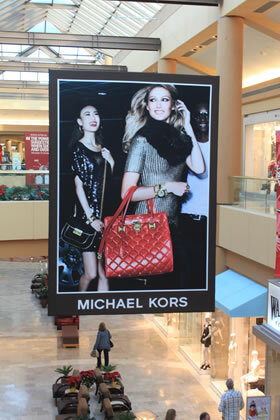 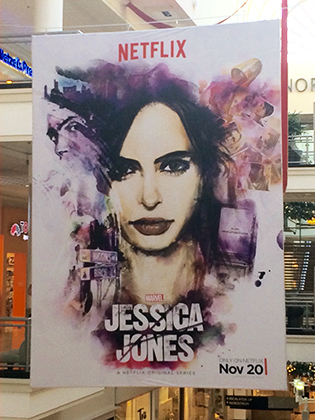 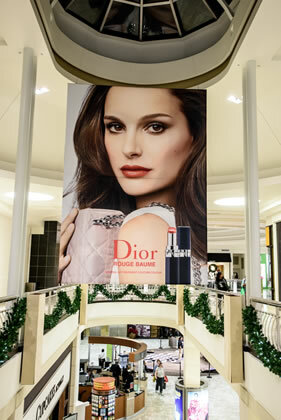 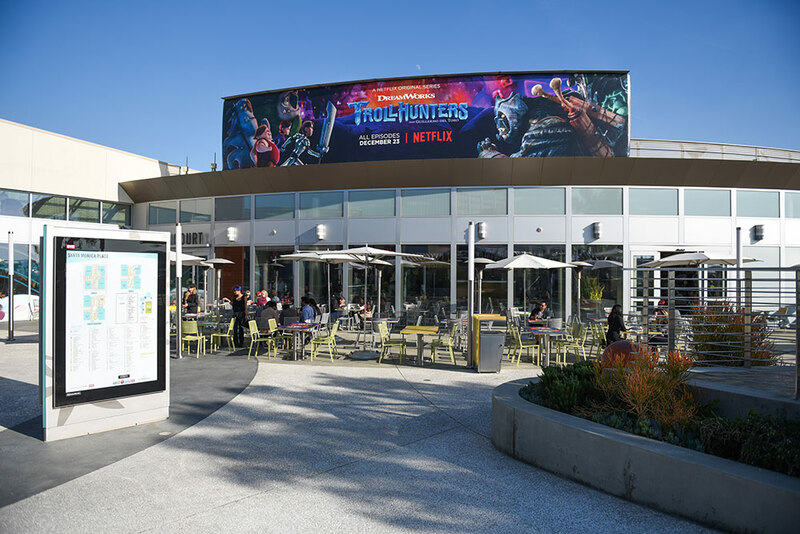 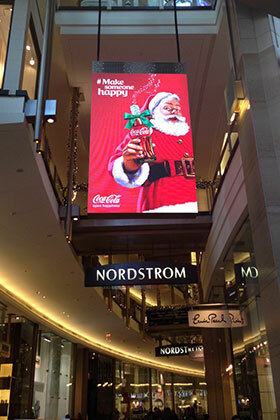 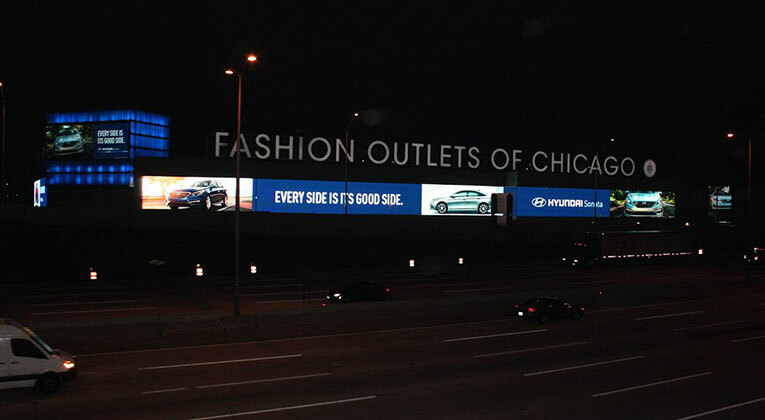 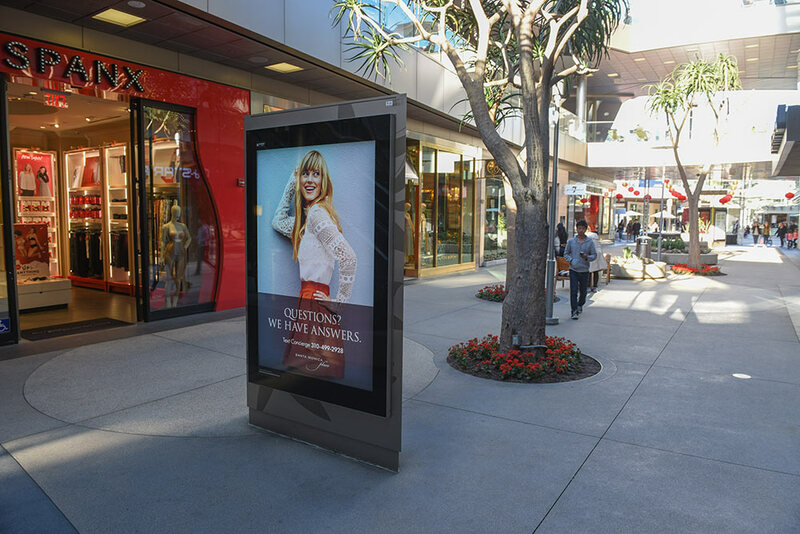 Double-sided, rotating spectacular digital displays, installed in high-traffic areas, utilize top-of-the-line technology and give brands, retailers, advertisers and studios the ultimate placement to run digital and/or static ads, motion picture spots as well as interactive features such as live texting, crowdsourcing, and much more. 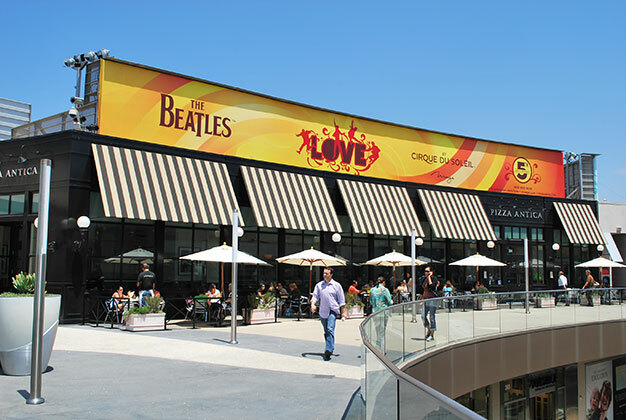 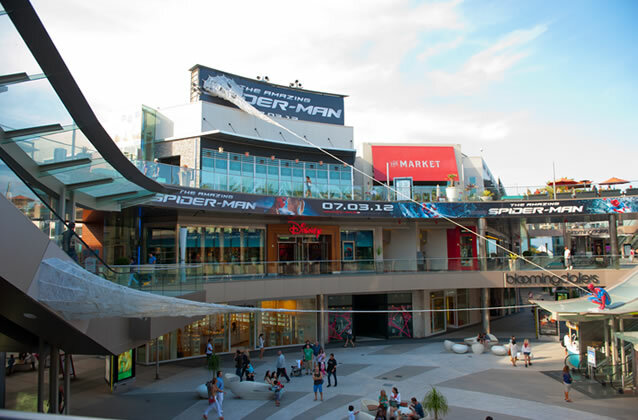 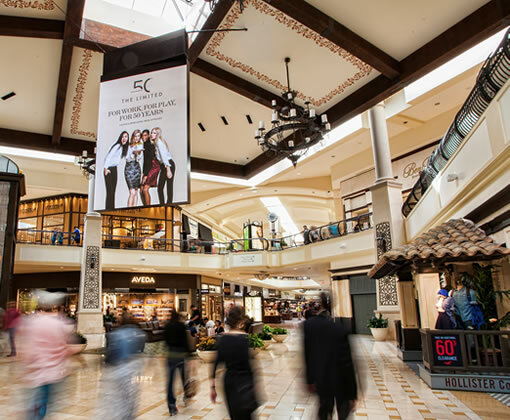 Macerich shopping centers are ideal places to reach consumers with in-mall media when they are predisposed to making purchases. 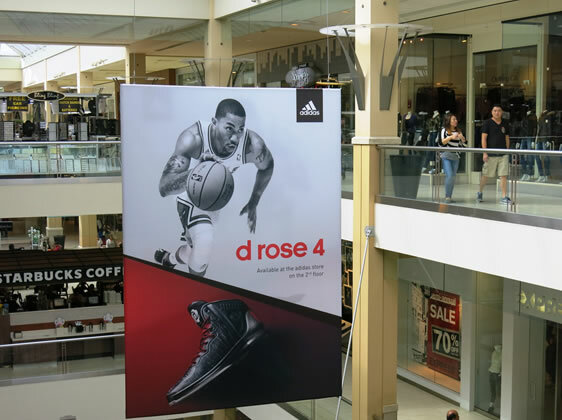 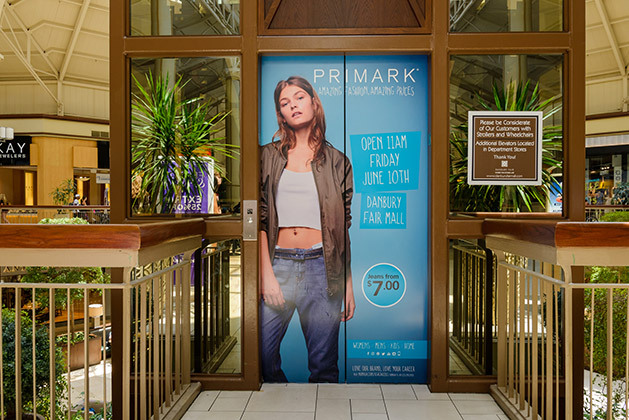 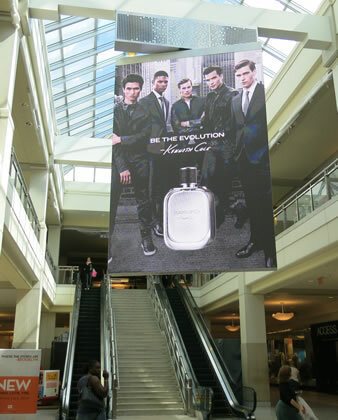 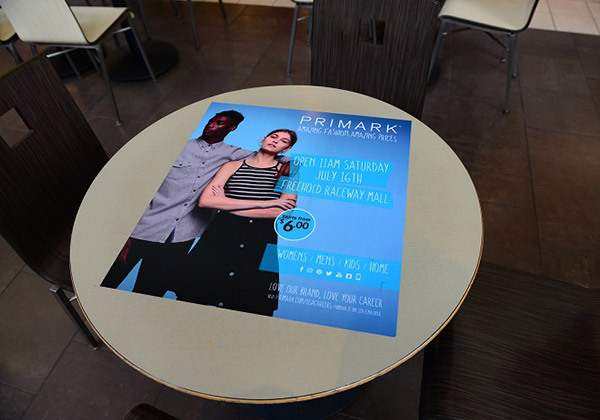 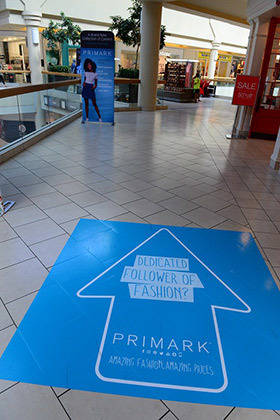 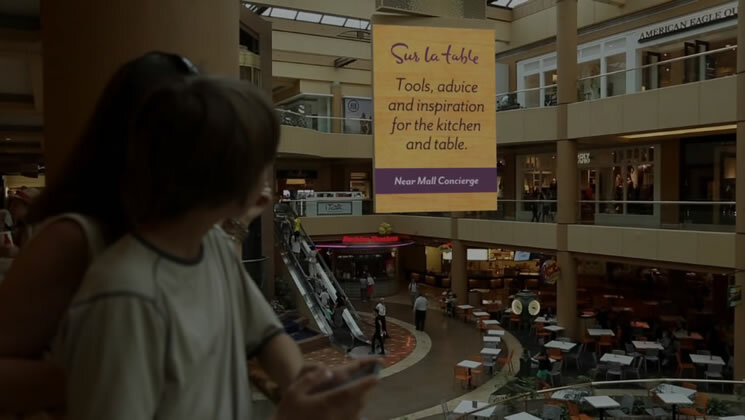 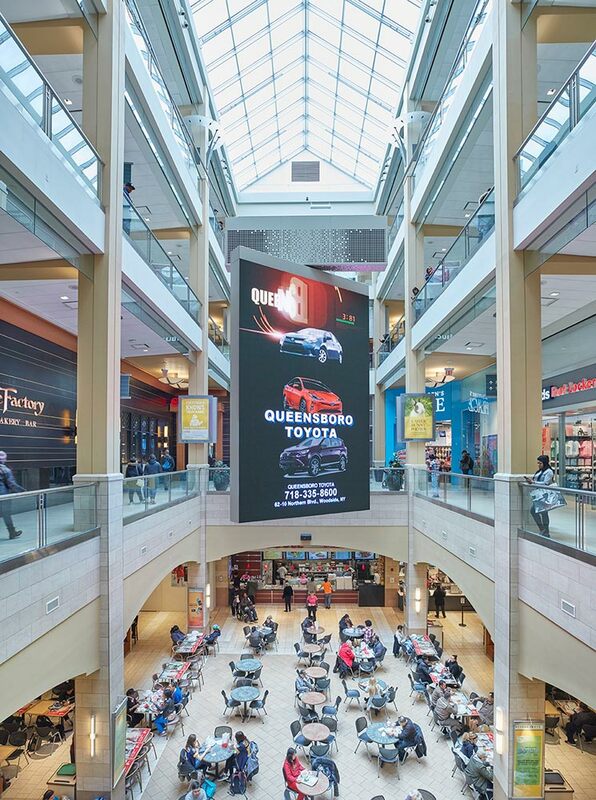 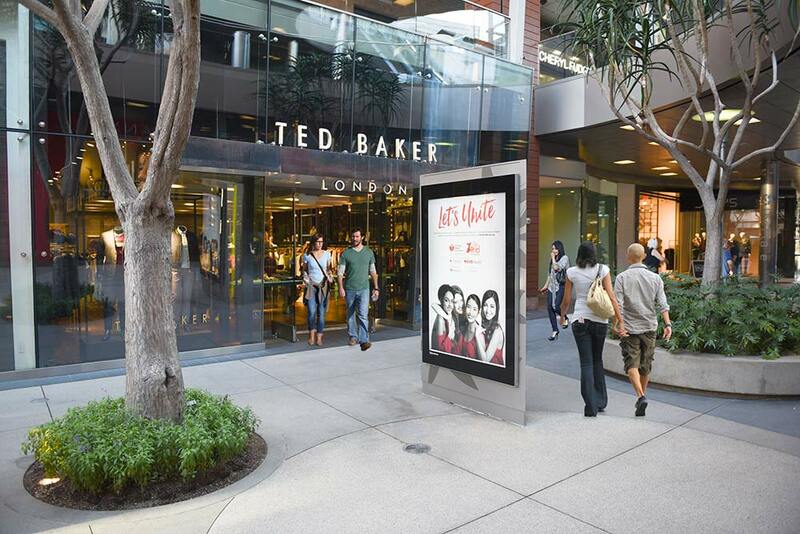 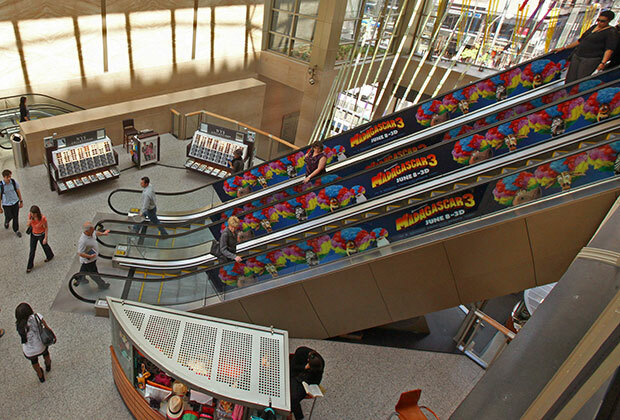 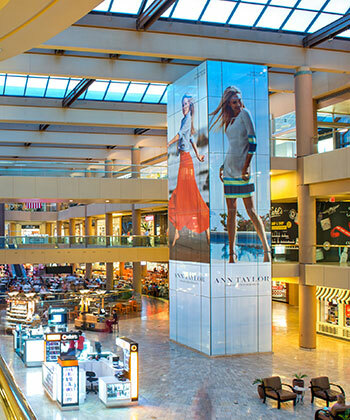 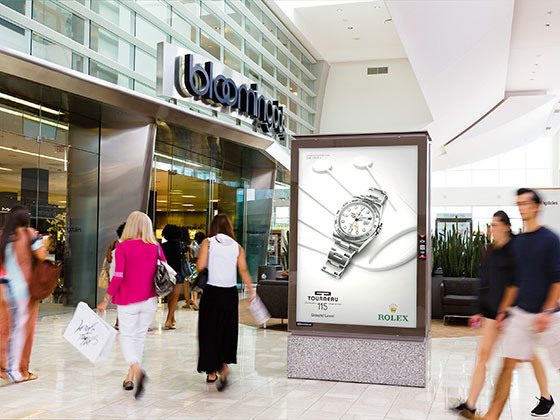 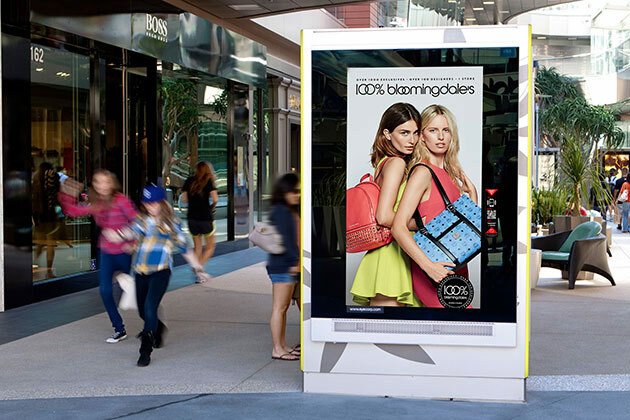 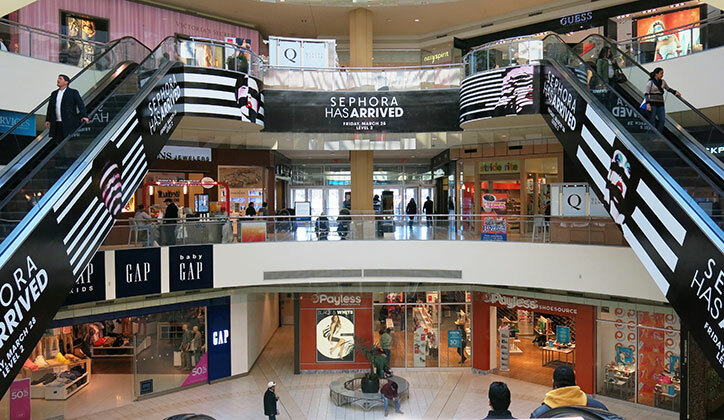 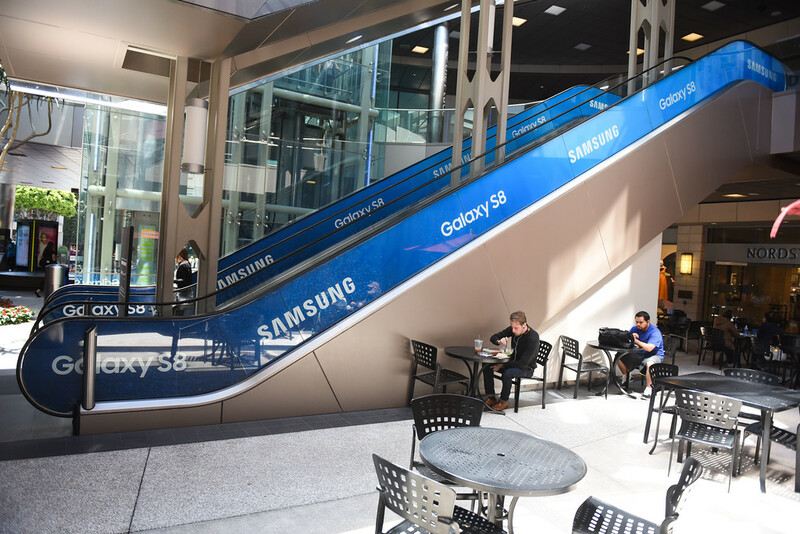 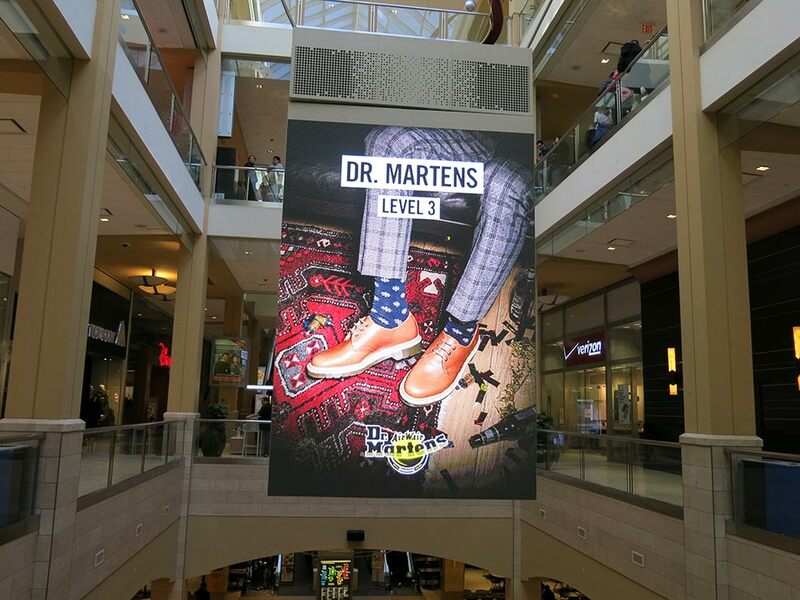 Reach and frequency are optimal – shoppers view advertisements when entering the mall, visiting the food court and throughout the common area. 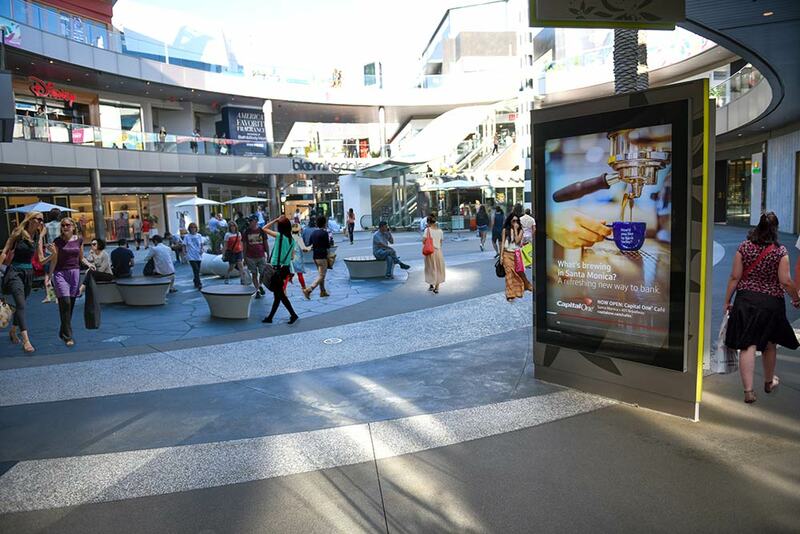 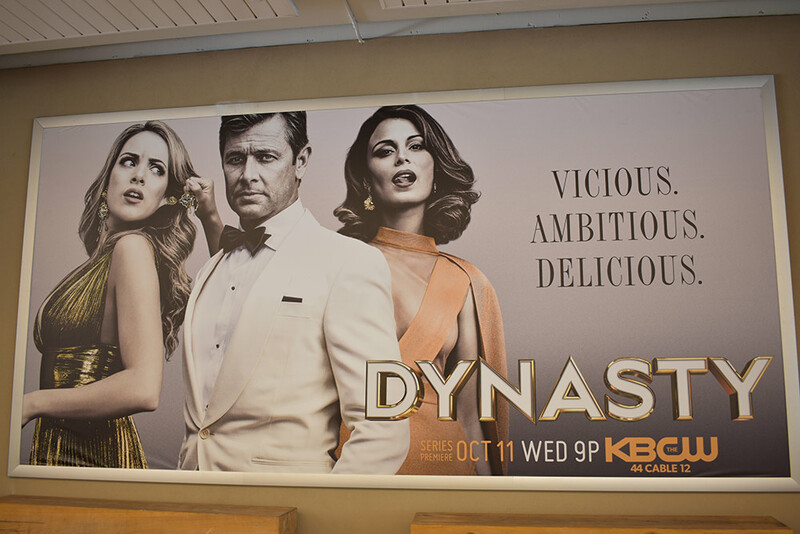 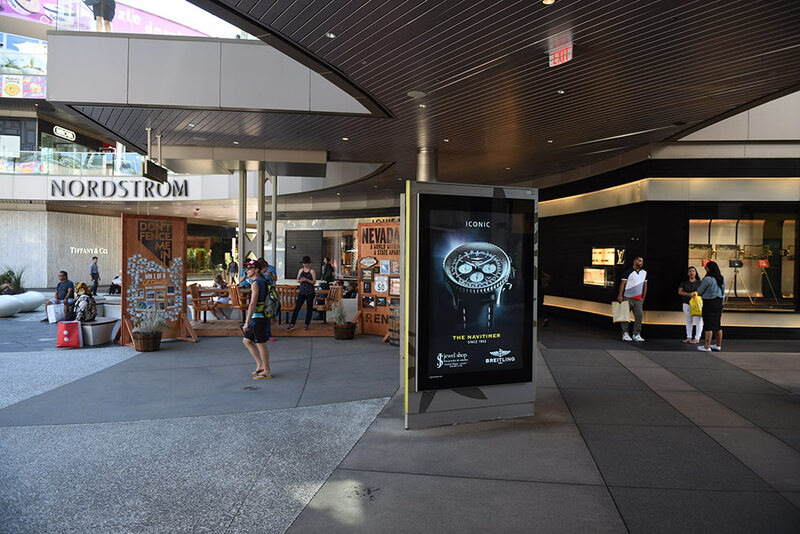 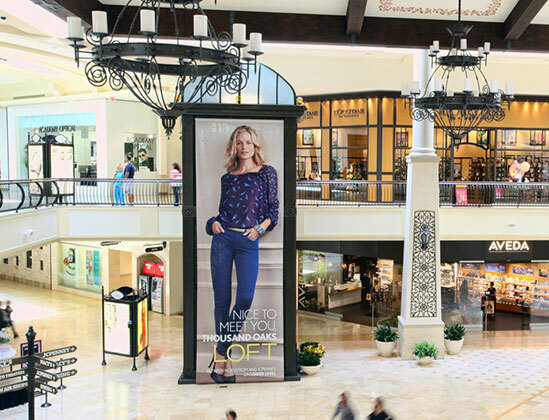 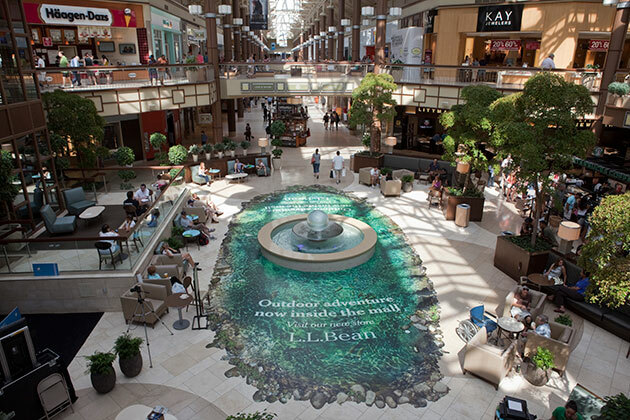 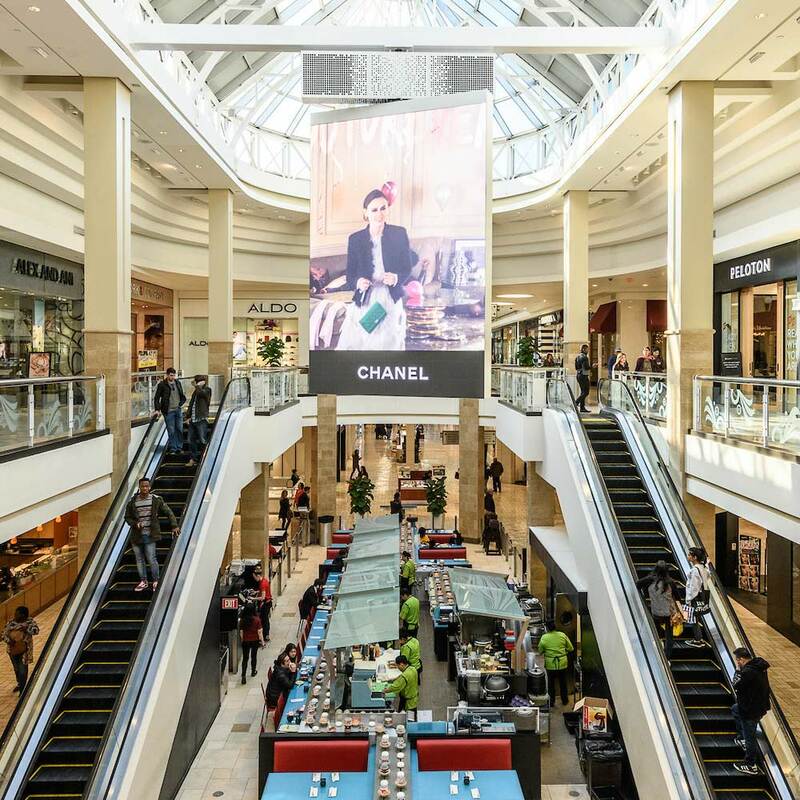 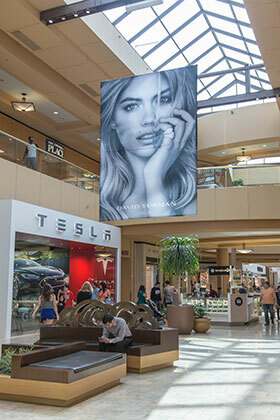 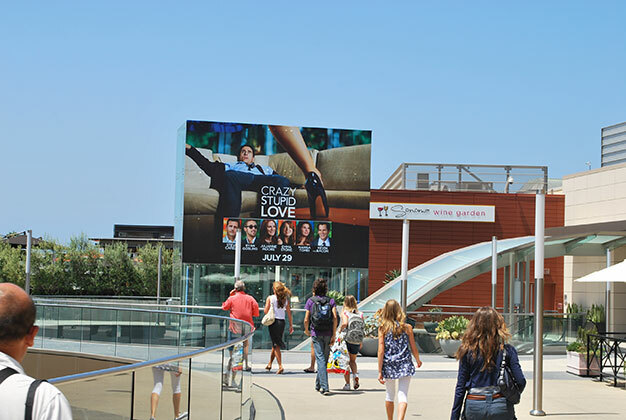 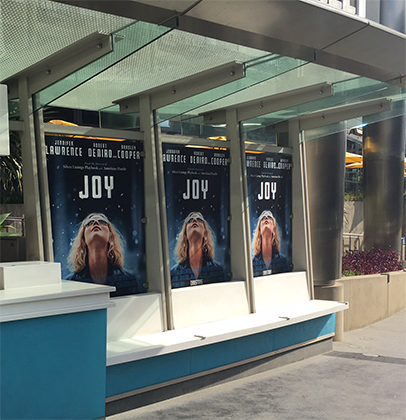 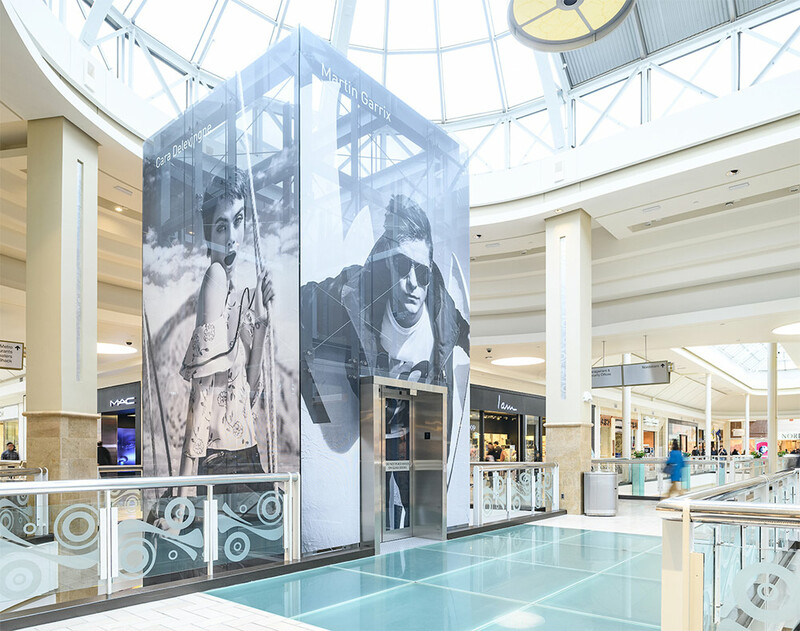 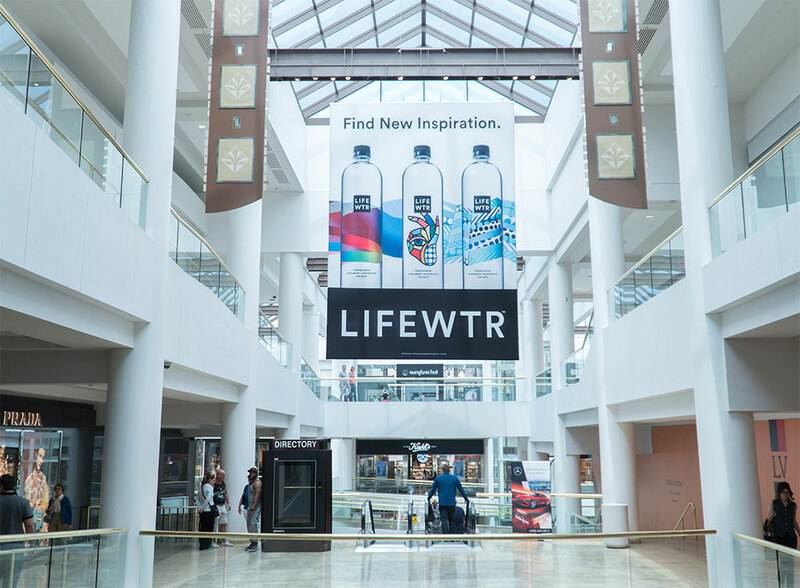 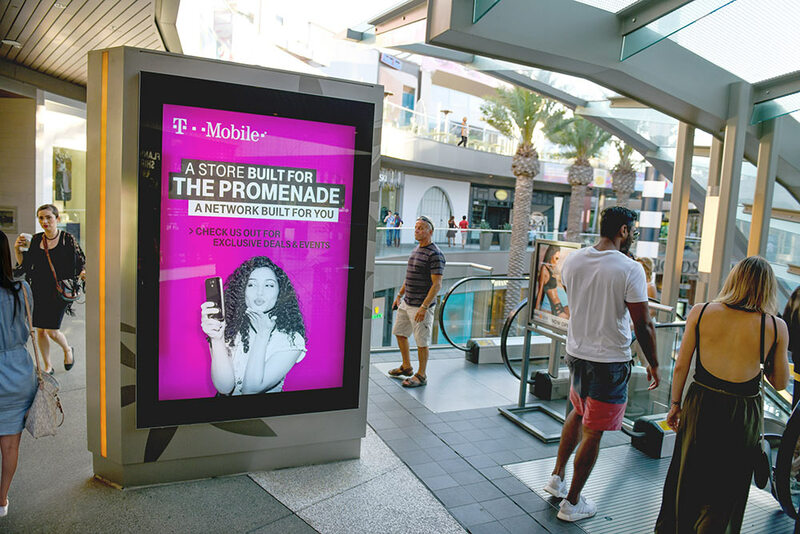 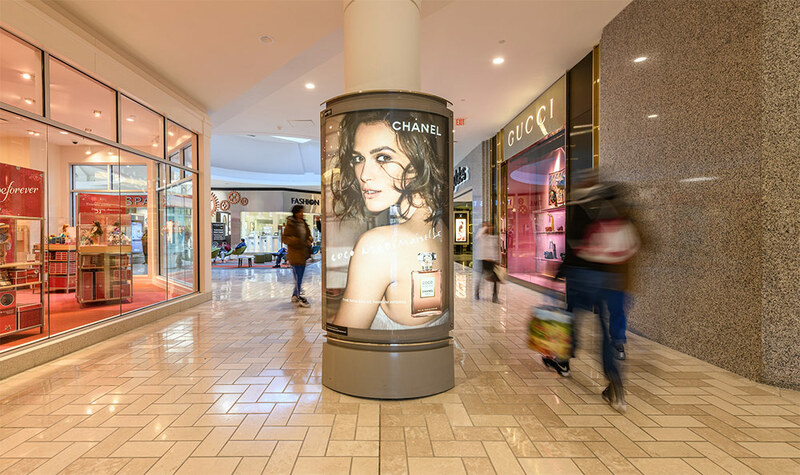 Macerich's in-mall media break through the clutter with high-impact, high-visibility, spectacular advertising and promotional messaging. 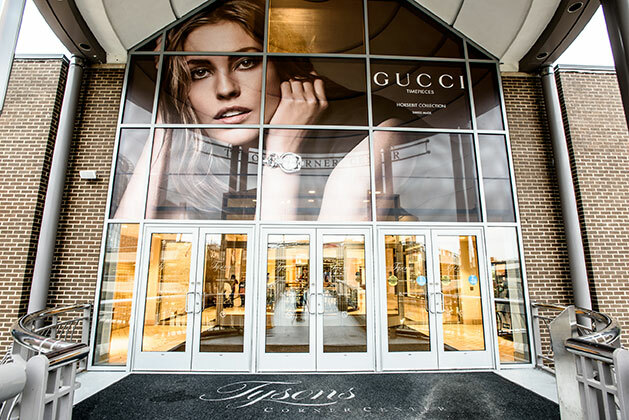 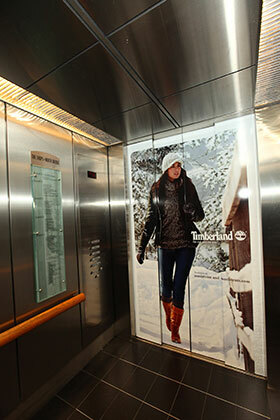 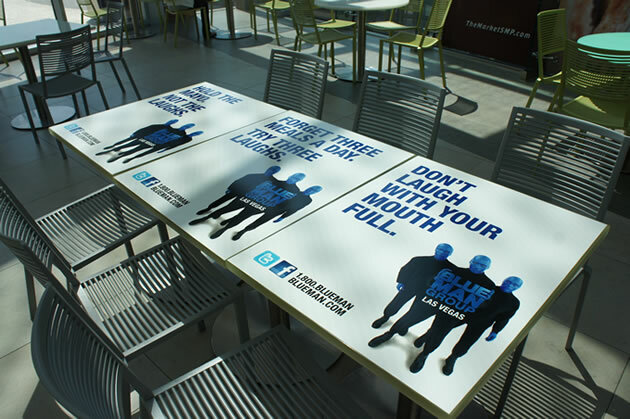 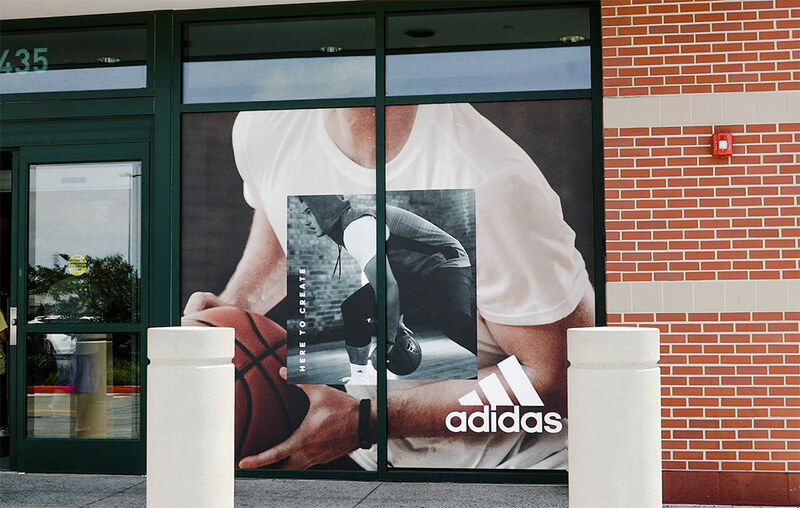 Begin utilizing our premium space to target your consumer and promote your brand and/or service today.